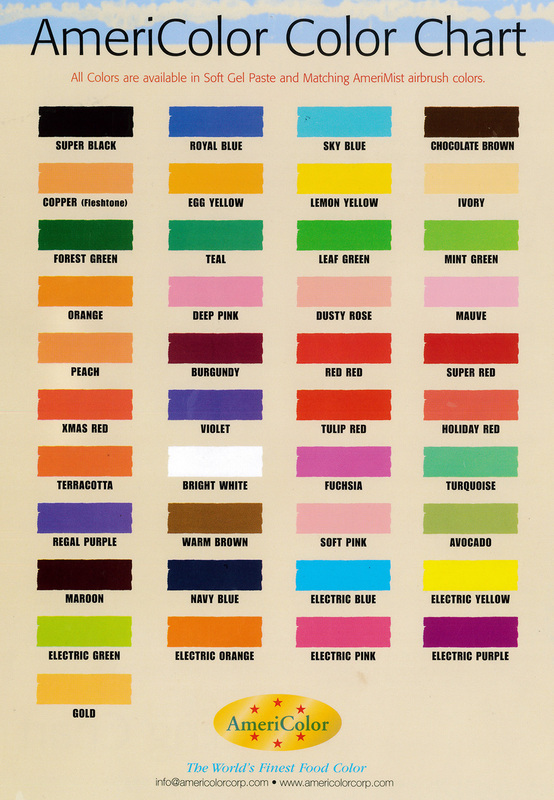 To simplify things we have created an "Ambrosia Color Chart" that you can use to reference the color that you would like to use on your cake. Our phone operators have a copy of this chart that you can use as a reference when placing you order by phone. Please keep in mind that this is a guide. The colors can vary slightly due to the different computer monitors however, this is a great reference to use. Colored icing can have the tendency to fade in the sunlight or possibly darken over time. We hope that this will make your cake ordering process go as smooth as possible!